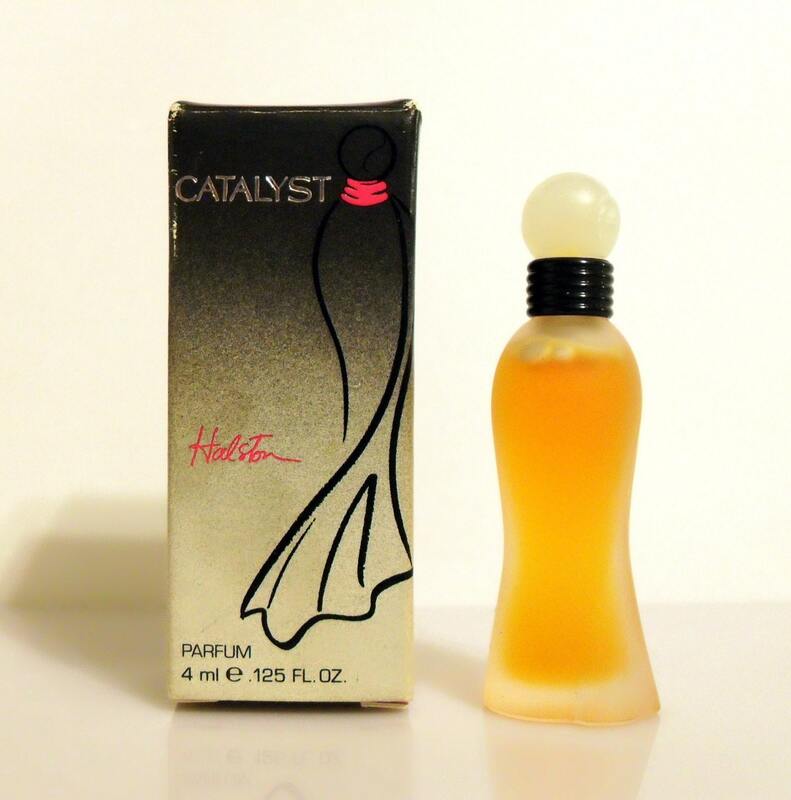 Vintage 1990s Catalyst by Halston 0.125 oz Pure Parfum Splash in Box Autographed by Bottle Designer Marc Rosen. 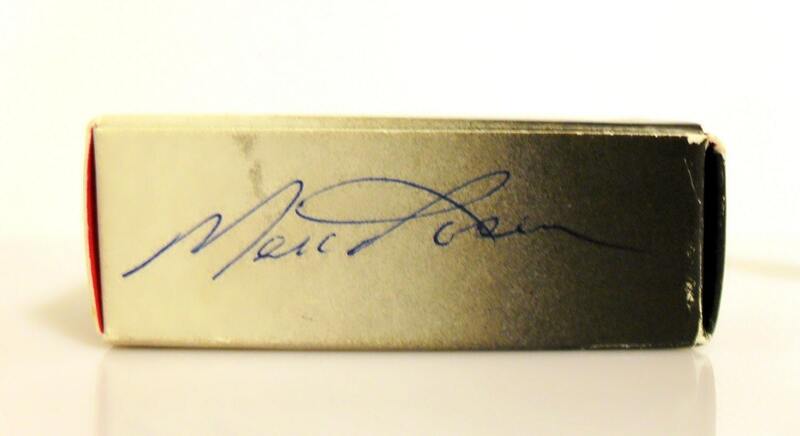 Box is signed by bottle designer Marc Rosen. The miniature bottle is full - please see picture for actual fill line. The perfume still smells good and is wearable. 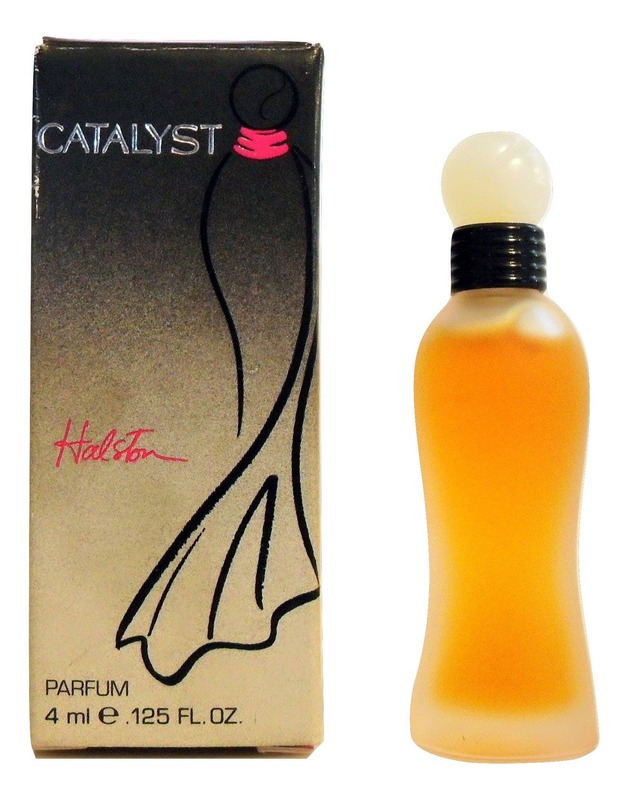 Marc Rosen told the story of the Catalyst bottle he designed for Halston, which was inspired by the various fashion sketches that he had studied. The bottle with his bold and fluid lines, which he says is an abstraction of women with elegant Halston couture gowns, were consistent with the glamourous image. The parfum flacon presents an image of a flowing cape, while the eau de toilette looks like a flared skirt and the body and bath products a softly draped off-the-shoulder dress. These slender bottles come in frosted and clear glass with crystal stoppers. However, the advertising and the promotion for some reason used a model on the prairie complete with a split fence and cowboys, the antithesis of the luxe reputation of the Halston brand. Since the promotional follow up was not synchronized, the fragrance was a failure. 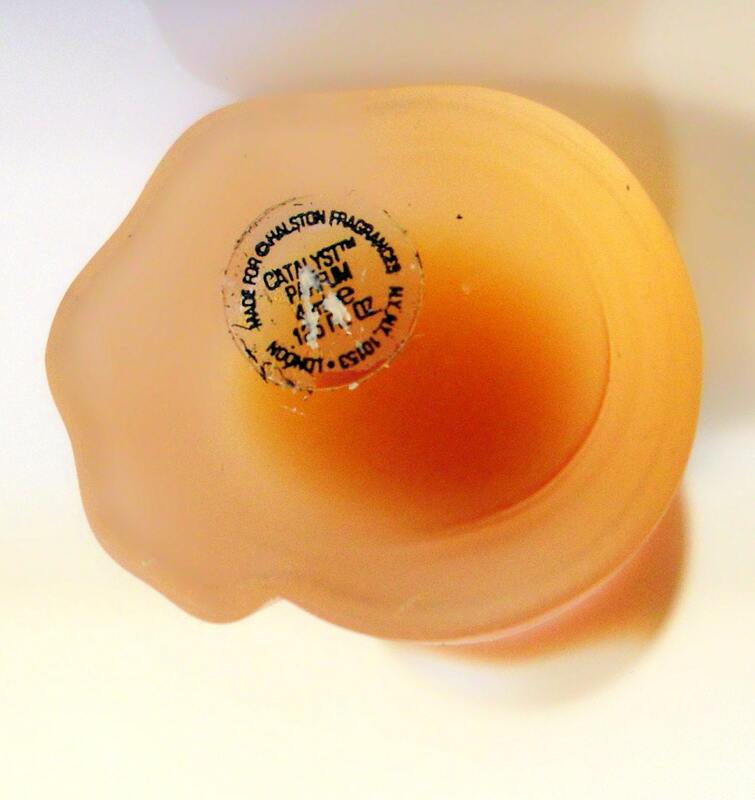 Marc Rosen most likely signed the bottle at the launch party or at a department store event to introduce the fragrance.